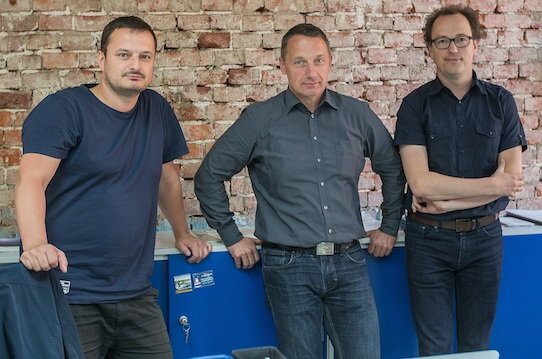 The Startup BauDV from Meißen has developed an algorithm to predict the right price. More and more companies want to try it. Even though „BauDV“ can’t tell fortunes either, the startup has developed an algorithm to get the necessary information quite accurate. Hundreds of gigabyte of data of past tenders are scanned in seconds to compare them with the tender texts that every entrepreneur can upload at www.baudv.com. Theoretically this large-scale evaluation is possible since the end of the 1990s. Back than the joint committee of construction electronics (Gemeinsamer Ausschuss Elektronik im Bauwesen) in Bonn created an electronic format for construction tenders. Nevertheless, the data is only useful with tools to evaluate it. That is the point where the algorithm comes into play. Falko Zschunkes Co-founders Tobias Rothe (39) and Harald Wendel (38) who work for a bank in Estonia and an airline in Boston created it within two years in their spare time. Despite this innovation and a relatively low price of 20 Cent per calculated item, the start of „BauDV“ in June of 2016 was initially sluggish. It took time to make the offer known. Only step by step construction companies increasingly discovered and tried it. What is more, the growing customer base is not only good for the business of „BauDV“ but also for the algorithm. „Our algorithm is self learning. With every tender that is uploaded, it gets better and better,“ explains Harald Wendel. Right now most customers are from the fields of drywall installation, painter, and civil engineering. For 2017 the young company has ambitious goals. „Right now our business is predominently regional. However, in 2017 we want to acquire customers in all parts of Germany. 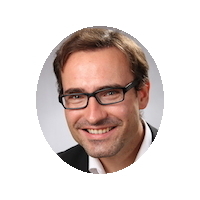 At the end of the year, we would like to have 1000 customers,“ says marketing manager Hanno Hanstein. Additionally the service portfolio shall grow. On the one hand „BauDV“ wants to help private and public home builders in real life with the estimation of construction costs and the creation of a tender. Apart from that, the company plans to cooperate with the materials industry. Comparable to Google ads, companies who upload their tenders will see advertisements for items like paint or cement on the website. For every successful deal, „BauDV“ receives a commission.